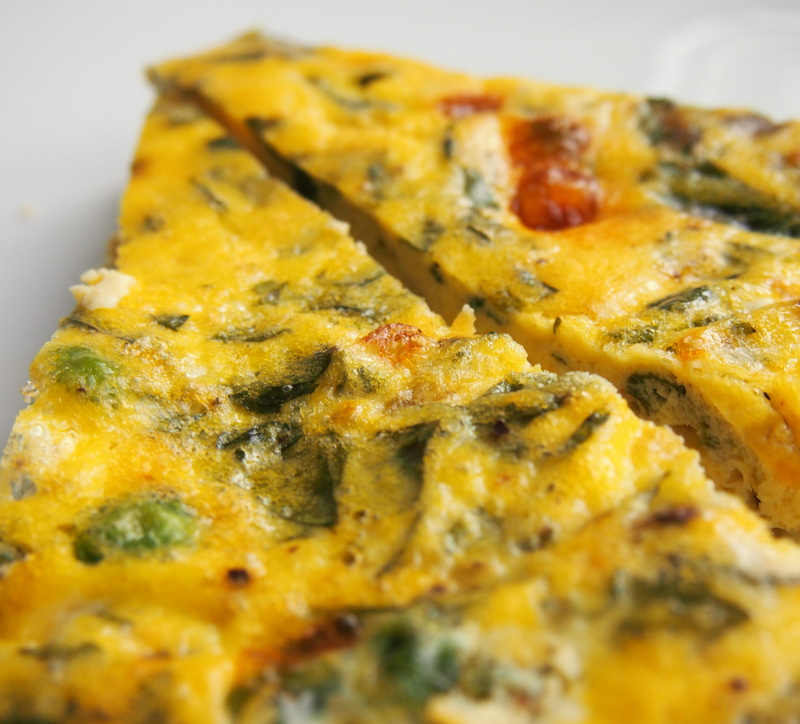 Tortilla or frittata? You can go on for hours debating over the correct name for this dish… still, my strong recommendation would be to eat it straight away from the over with a bit of toasted bread and a dollop of yogurt. In a large, ovenproof, nonstick skillet, melt the butter. Add the peas and cook over moderate heat until warm, about 3 minutes. In a large bowl, beat the yogurt with the eggs, mint, salt and pepper until smooth. Pour the eggs over the peas and cook over moderately high heat until set on the bottom and around the edges, about 4 minutes. Transfer the skillet to the oven and broil 20cm from the heat for about 3 minutes, until the top of the tortilla is set and lightly golden in spots. Slide the tortilla onto a plate, cut into wedges and serve with the remaining yogurt.